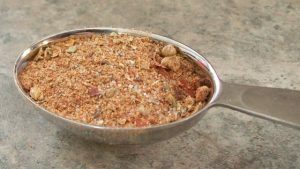 This is a tasty combination of flavors that are good on beef, pork, chick, fish and even veggies, especially if grilled. This makes a 1/2 cup to keep in your spice cabinet. Stolen shamelessly from Emeril.